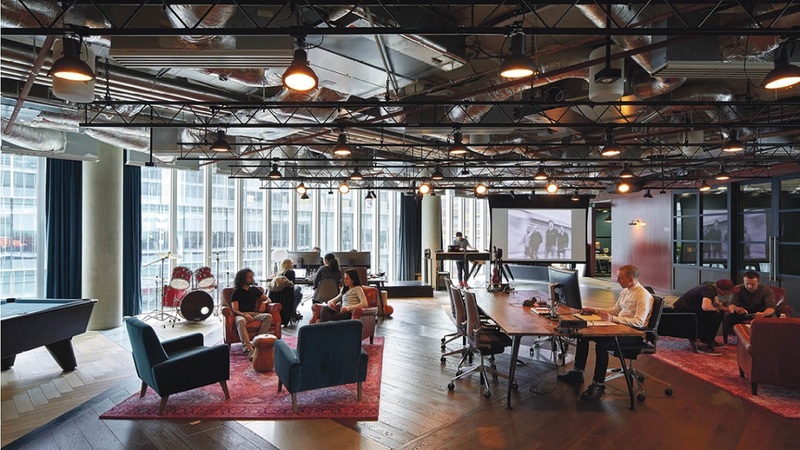 If the everyday woes of an open plan workplace are getting you down, take heart. The chances are that you exercise more and are less stressed than those who spend their hours in cubicles or holed up in their own offices. A study of US government employees found that workers in open plan offices with no partitions on their desks clocked up 20% more physical activity than colleagues who worked in walled cubicles, and 32% more than those who sat in private offices. The most active workers seemed to reap benefits at home too, with measurements from wearable heart sensors finding that they were 14% less stressed than their more sedentary colleagues. The perils of a sedentary lifestyle have prompted the NHS to advise at least 150 minutes of exercise a week, and to reduce the amount of time people spend sitting. In previous studies, what has been termed “excessive sitting” has been linked to obesity, type 2 diabetes, some forms of cancer, and an early death. Writing in the journal Occupational & Environmental Medicine, Sternberg and her colleagues describe how they investigated the impact of office layouts on the activity and stress levels of 230 US government employees. Some worked in open plan offices with no partitions between desks, while others worked in cubicles with walls that could not be seen over while seated. Others still had their own offices. For three days and two nights, the researchers monitored the workers’ activity and heart rates via wearable sensors, and quizzed the employees about their mood with regular questions to their smartphones. Beyond the differences they spotted with office desk arrangements, the researchers found that stress levels were highest in older and heavier workers. Sternberg said she could only speculate why more active people tended to work at partition-less desks. One suggestion is that such offices typically have set places where people must go for one-on-one video calls; small group chats; or larger conferences, meaning that they move around the workplace more than those with their own cubicles or offices. One curse of the cubicle is that instead of finding a more private spot, people can talk loudly on the phone and in small groups, much to the annoyance of their neighbours. “If we can figure out how to design offices to allow people to be more active, that will result in better health and lower stress, so educating people about that is really important,” Sternberg said.